Loxley Court are no strangers to live entertainment, but entertainment from a former X Factor contestant? Now, that was a treat for everybody. Residents and Staff at Loxley Court welcomed Alan Turner into the home, who back in 2008 made it through to the judge’s houses stage on the X factor, where Alan preformed for Simon Cowell at his home in LA. 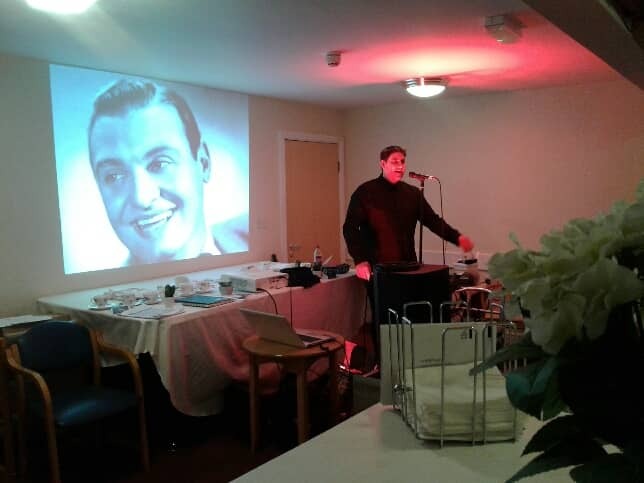 Alan preformed a fantastic rendition of a variety of 50’s, 60’s and 70’s classics that residents remembered fondly. Everybody was singing and clapping along to the memorable hits as Alan gave a performance that residents’ won’t be forgetting any time soon! “He definitely still has the Wow Factor”, commented Rachael Pierre, Activity’s Coordinator at Loxley Court. “The residents absolutely loved the performance and loved the fact that they had a celebrity in the room. It was such a fantastic day”, Rachael added. The show sparked a lot of conversation amongst residents, who chatted away about the fantastic voice that he had and reminiscing about the classic songs that they remembered from their youth. More X Factor contestants are welcome any time at our homes!